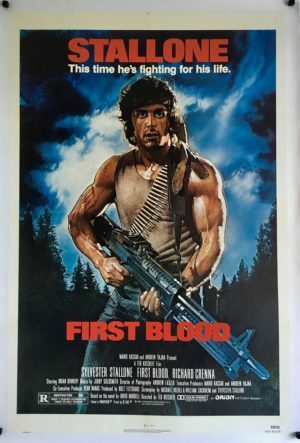 A rare Japanese version of the Oliver Stone multi award winning Vietnam epic. 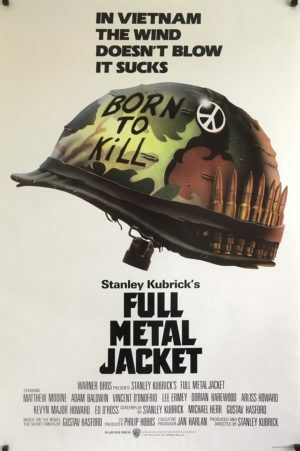 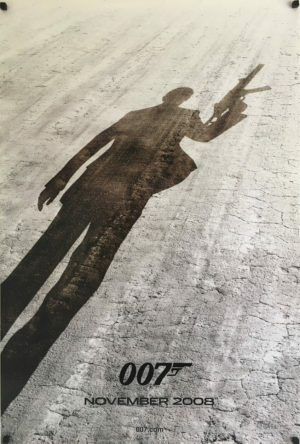 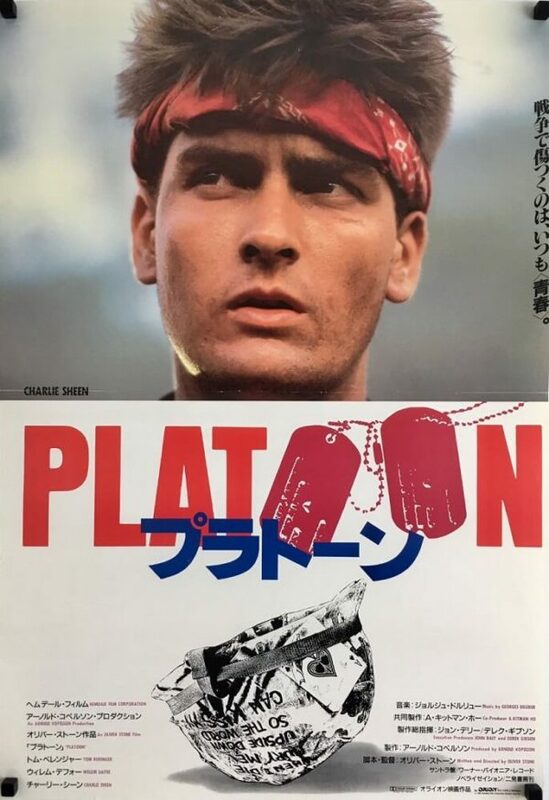 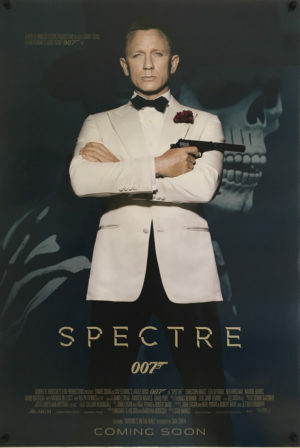 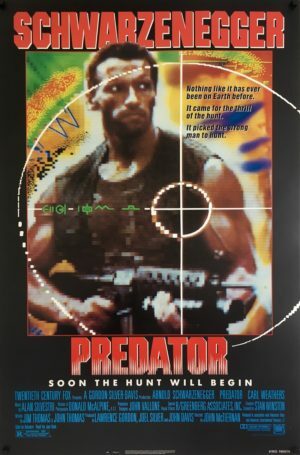 The Japanese have chosen to retain the Bill Gold drawn helmet from the US One Sheet, yet replaced the patrol with an image of the star of the movie Charlie Sheen. 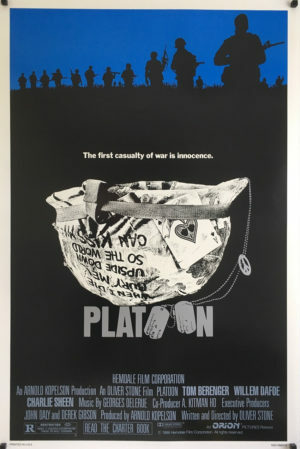 There is some slight wear to this piece, but if anything it adds to the war theme of the movie. 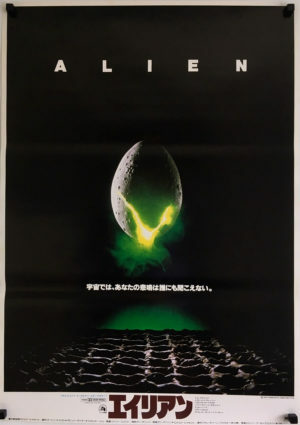 Japanese alternative posters have a huge collector base, their reduced size allows for easier storage and cost far less to frame than a standard ‘US One Sheet’ should you chose to do so. 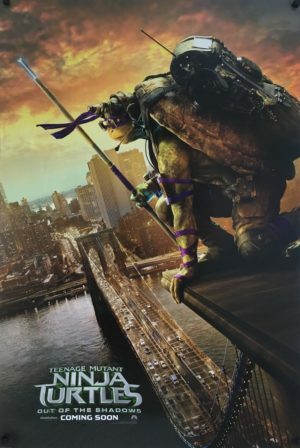 At some point in this posters life, it’s been folded in half, resulting in a horizontal line running across it, we choose to store it flat as it would have been displayed.